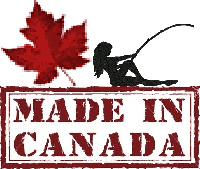 Well, not only did I miss out on having a blast casting with a fly rod while I was growing up, but I ended up moving to Alberta after high school, followed by an eventual move to British Columbia. My fly fishing skills were basic to say the least, and I always wished I had simply shown up with all the knowledge I needed to get started right away. A few fishing pals helped get me further along, and it was interesting to learn alongside some of their children as well. Here is what I learned about helping children learn to fly fish, all of which are things I think I could have personally benefited from myself when I was at that younger age. While kids are certainly interested in almost everything around them, they can become resistive to tasks if they are difficult and don’t seem to be any fun. Therefore, when your child first starts to cast a line, maybe with a push-button reel or a conventional spinning reel, try and use your fly rod every now and then if you go fishing with them. They will be able to see the satisfying casting motion (wooooosh! ), they will learn a little bit from casual observation, they will see you having fun, and as a child, it’s always a goal to move up to Daddy’s or Mommy’s equipment. No pressure in this stage, just fun. This is an especially great strategy for younger kids under the age of 10. Once you think your kid has developed enough of an interest to legitimately try fly fishing, this is a great time to get them familiar with the gear and technique, but don’t go too crazy. This will still be an odd feeling for them at first, especially if they have become proficient with other forms of casting. Plan to bring lots of snacks, maybe a deck of cards, and go somewhere that’s either close by to your place, or where there are a variety of activities to do. We say this because sometimes a full day of lessons can be a little tedious for children, and you want them to be focused on the task at hand whenever you’re teaching them. It may be better to go in spurts throughout the day, breaking up the lessons with snacks or other fun and games. The casting technique is one of the most enticing aspects of fly fishing for children. However, I would be hesitant to jump right into things. Start slow, first by providing a slow-motion demonstration, then perhaps giving them a small portion of a rod (or even a stick) to practice the technique roughly. As you work your way up to a full rod, reel, and line, don’t worry about the fish, but instead, focus on placing the fly. You can make a game out of this with rewards. Don’t be negative when they make a mistake or are way off target, this can be enough for a child to become sick of it, as they have yet to experience the full thrill of fly catching a fish on a fly. Go nuts when they are somewhat close to the target, so you can keep them amped on the sport! One thing you can do either in a successive step to those above, or throughout the entire process, is to try and teach you kid about the habits of the local fish species. What do they like to eat, and how does this relate to the fly on your line? Where in the body of water do they like to hang out? How does this change throughout the day, or with the seasons? Again, you don’t want to make this a book learning process, unless that’s clearly what your kid is into. I personally know that I would much rather learn that stuff on the fly (Ha! ), as opposed to picking up a book from the library and “studying”. If you decide to teach your child about the local fish species around the time they are practicing their fly casting technique, you can use this as a successive step to their practicing. Ask them where they think is a good spot to cast, and then go try! This can lead you into helping them learn how to handle a fish when one strikes. Throughout the teaching process, especially towards the end when your child is practicing casting, it can be especially useful to provide them with equipment that will work best for their stage of development. Of course, you know your child better than anyone else, so take these as considerations rather than rules. Rod: Not too short, but not too long. Too short with light line will be hard to cast, too long with heavy line will be too much for them physically. Try something in the 5 weight rod range (+/- 1) and 8 feet in length (+/- 1). Fly: Whatever you think works for the local area should be fine, but make sure to show them all the flies you have. The design and applications will captivate their interest, and they can also learn more about the fish this way as well. Eventually, they may want to learn how to tie their own flies, which can be a great reinforcement to the fishing itself. Nymphs or streamers are probably the most reliable in this situation, but if you have something in mind for your local waters, go for it! 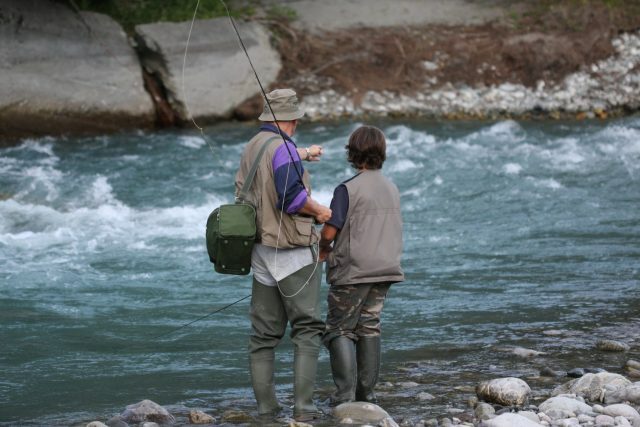 We hope you have found this brief guide useful in getting your kid started with fly fishing. Don’t worry, the main thing for kids of any age is that you make it fun. Don’t become discouraged if they appear disinterested at times, they’re simply just trying to explore the entire world! Keep them involved when you can, let them have fun, and teach them your more technical tips when they begin asking questions. 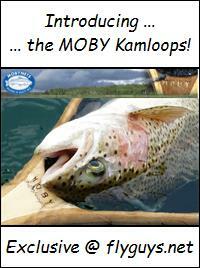 Before you know it, they’ll be taking you fishing! *… this article was sent in via our “share your story” program either without an author or the author information has been lost/misplaced. If you sent it in, or know who did, please let us know so that we can credit appropriately. 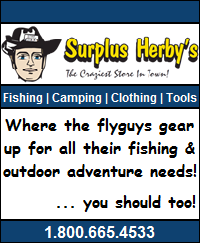 This entry was posted in Fishing, Still Water Fly Fishing. Bookmark the permalink.